The Office of the Ombudsman-Visayas, acting swiftly on a criminal and administrative complaint filed by Engr. Petronilo Sarigumba, ordered Loboc Mayor Helen Alaba and members of the Bids and Awards Committee (BAC) to file their counter-affidavits within ten days from receipt of the order. Euphemia B. Bacalso, Graft Investigation, and Prosecution Officer IV signed the order on February 23, 2018, on behalf of Deputy Ombudsman for the Visayas, Paul Elmer M. Clemente. The Ombudsman found enough basis to proceed with the criminal investigation of Alaba and members of the BAC with docket no. OMB-V-C-18-0076 for violation of Republic Act (RA) 3019 section 3(e) known as the Anti-Graft and Corrupt Practices Act. Section 3(e) considers as corrupt practice if the public officer causes undue injury to any party, including the government, giving any private party any unwarranted benefits, advantage or preference in the discharge of his official administrative or judicial functions through manifest partiality, evident bad faith or gross inexcusable negligence. 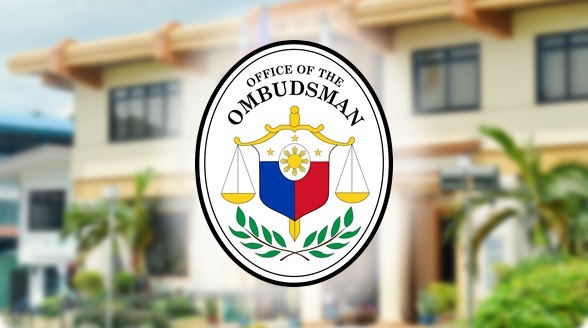 The Ombudsman also found enough basis to proceed with the administrative adjudication for a separate complaint for grave misconduct against Alaba docketed as OMB-V-A-18-0076. Grave misconduct is defined as intentional wrongdoing or deliberate violation of the rule of law or standard of behavior related to or connected with the performance of the official functions and duties of a public officer. In grave misconduct, the elements of corruption, clear intent to violate the law, or flagrant disregard of an established rule must be manifest. Sarigumba, as president of the Association of Bohol’s Construction Companies, Inc. (ABBCI) filed the graft raps against Alaba and the BAC members on February 1, 2018 after the mayor denied his request for copies of the abstract of bids and awards in connection with the bidding for the completion of the Heritage Shop in the Loboc Tourism Complex. The completion of the Heritage Shop consisted of two projects amounting to PhP7 million, according to Sarigumba. Sarigumba, owner of Ronnyl Construction was also allegedly banned by Alaba to purchase bid documents for the completion of the heritage shop and “any transaction with the Local Government Unit of Loboc (LGU-Loboc). According to Sarigumba, he has yet to receive or see the alleged “written directive” from Alaba forbidding Ronnyl Construction from any participation from bidding activities in the LGU-Loboc. 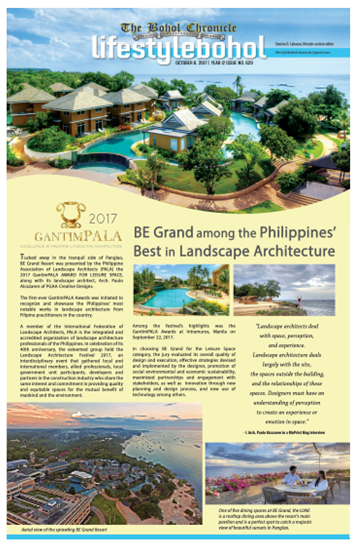 According to Sarigumba, Ronnyl Construction is duly licensed by the Philippine Construction Accreditation Board (PCAB) and is duly registered under the Philippine Government Electronic Procurement System (PhilGeps). The ABBCI rallied behind their president by adopting a resolution condenming Alaba for her “blatant and unfounded refusal to issue/provide copies of public documents” to Sarigumba in violation of President Duterte’s executive order. The unprecedented move of the ABCCI, ignoring possible backlash over their uncompromising stance against wrongdoings in the implementation of the provisions of RA 9184 otherwise known as the Government Procurement Act. Sarigumba invoked Executive Order (EO) No. 2, series of 2016 signed by President Rodrigo Duterte on July 23, 2017 implementing a policy of full public disclosure of all its transactions involving public interest to enhance transparency and accountability in government official acts, transactions, or decisions. Alaba also claimed that Duterte’s EO No. 2 series of 2017 “is limited only to the executive branch,” citing an admission by Presidential Communications Assistant Secretary Atty. Kristian Ablan on June 4, 2017 in Laoag City. Alaba further stressed that executive issuances by the President cover only all government offices under the executive branch citing a Supreme Court (SC) case in Mondana vs Silvosa that under the constitution, the President has supervision, not control, among the LGU’s. Sarigumba expressed dismay over Alaba’s “defiance” of Duterte”s campaign to rid government of corruption especially in government’s procurement process and protection of the right of the people to information on matters of public concern. Section 9 of RA 3019 penalizes any public officer or private person found guilty of violating section 3(e) with imprisonment for not less than one year nor more than ten years, perpetual disqualification from public office, and forfeiture in favor of the Government of any prohibited interest and unexplained wealth out of proportion to his salary and other lawful income.